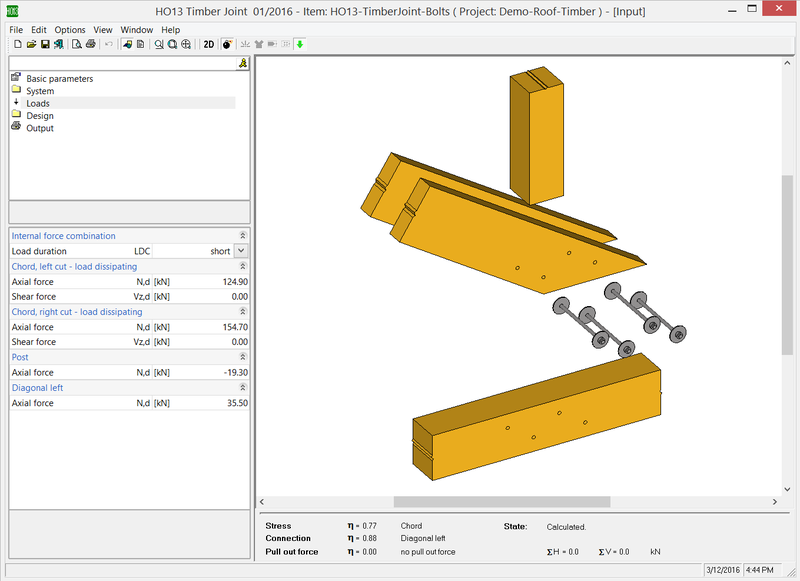 HO13 allows you to calculate typical truss joints in timber structures. In such a joint, up to five outgoing bars are connected in one centre point. If the bars are all singlepiece, they are connected by means of steel plates that are either mounted to the surface or driven into slots to establish a steel-to-wood connection. Alternatively, a multi-piece diagonal strut or multi-piece chord can be connected in a wood-to-wood connection. Special dowels for all wood-to-wood connections and steel-wood connections without driven-in plates. In wood-to-wood connections, combined arrangements of dowel pins and fit bolts are definable. The structural safety analysis is based on the more accurate calculation method in accordance with Johansen's theory and suspension effects can be taken into account, if applicable. 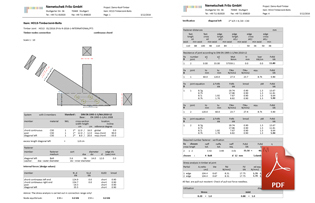 The application calculates the required number of fasteners on the basis of the bearing capacity. 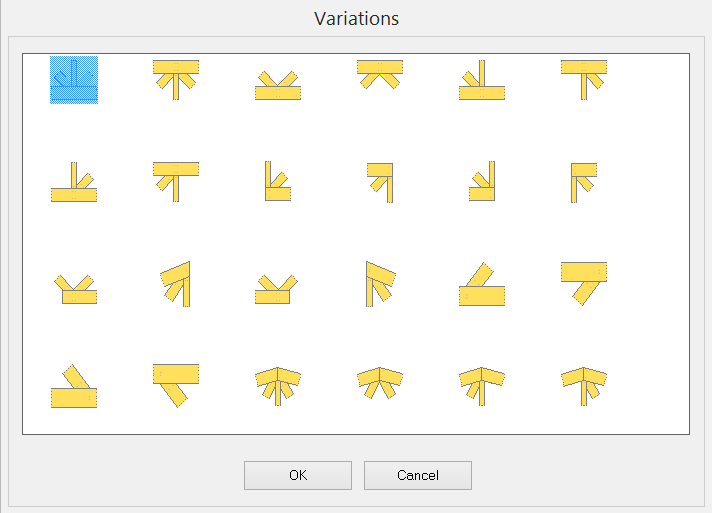 It verifies the prescribed minimum spacing and performs the required component analyses in the connecting area (such as the verification of the perpendicular-to-grain connection or the resistance to block failure or the resistances in the contact connection in addition to the stress analysis in the net cross section).